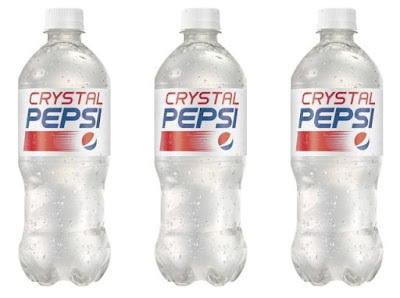 Crystal Pepsi is returning to stores later this summer starting August 8, 2016 in the US and July 11, 2016, in Canada. Available for a limited-time only, the clear Pepsi cola flavor will come in 20-oz bottles with a suggested price of $1.79. To celebrate the return of Crystal Pepsi, which originally launched in the early '90s, Pepsi will be releasing their own online take on popular '90s computer game The Oregon Trail and calling it "The Crystal Pepsi Trail." You can find the game online at www.crystalpepsi.net starting July 7, 2016.